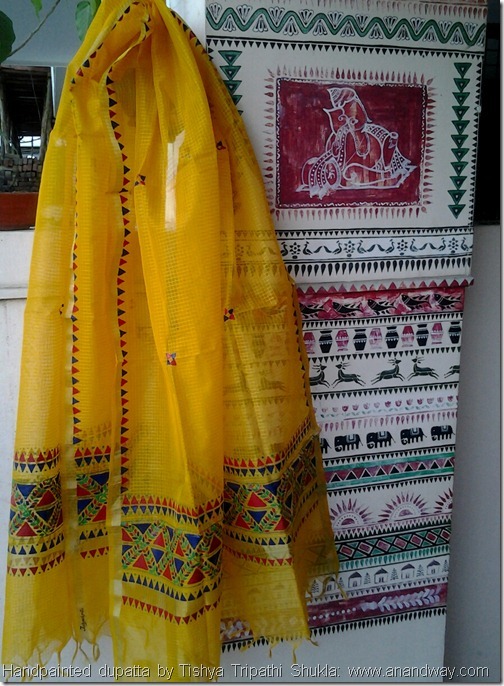 Tishya Tripathi Shukla of Tishakriti offers exclusive handpainted Indian fashion for ladies. Here is a range of dupattas, a scarf measuring 2.5 meter by .8 meter approximately. 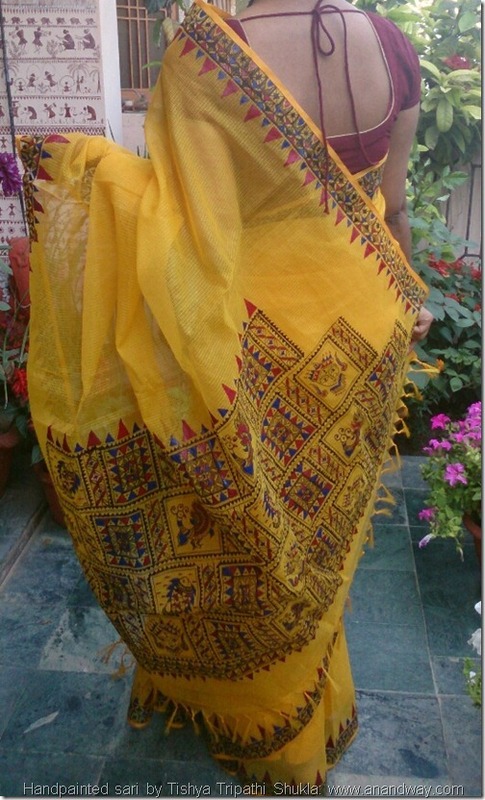 Each of these beautiful handpainted saris by Tishya Tripathi Shukla is about 5.5meters long. The theme being Indian folk art motifs. 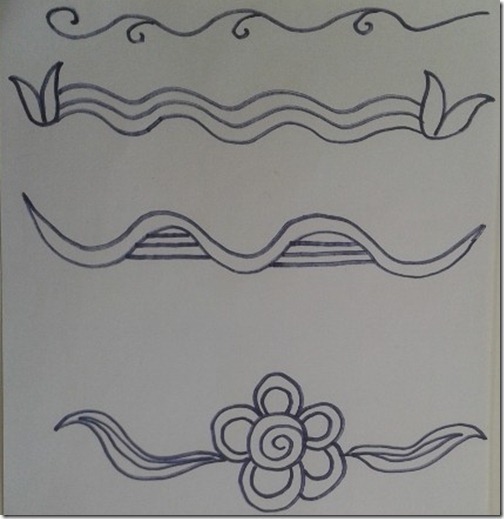 These Rangoli designs are meant for beginners. Practice with moist chalk sticks on the floor or a green board :) Hope you enjoy making them as much as I do!